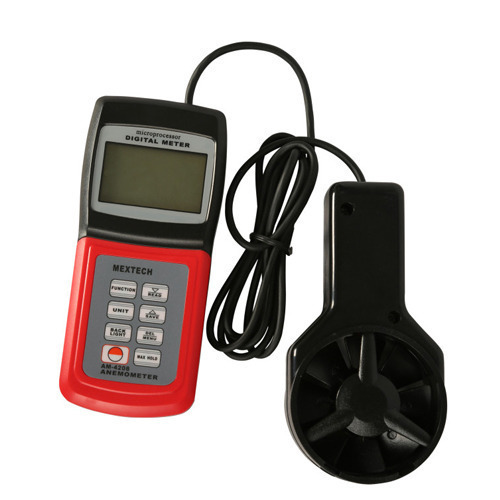 We are offering an exclusive range of Digital Anemometer to our valuable clients. Established in the year 1958, at New Delhi (India), we “Chopra & Company”, are manufacturer and exporter of wide range of Electrical Machines comprised of AC Induction Motor, Transformers, Electrical Loads, Motion Control Devices, etc. Whole product range is designed by our highly skilled & technically experienced professionals at our sophisticated fabrication unit using high grade raw material, advanced technology, latest tools and machines to develop these products to perform upto defined industrial quality standards. Our offered range is widely appreciated by clients industries for their longer service life and performance. We offer products to our clients in various specifications according to their varied requirements.